Dental sealants provide a barrier of protection for adult molars that form between the ages of 6 and 18. One of the best parts about dental sealants—from a child’s perspective—is that they offer quick and painless protection (no anesthetics required). First, the tooth is cleaned and dried. Second, the sealant is “painted” onto the chewing surface of the tooth and then dries within seconds. 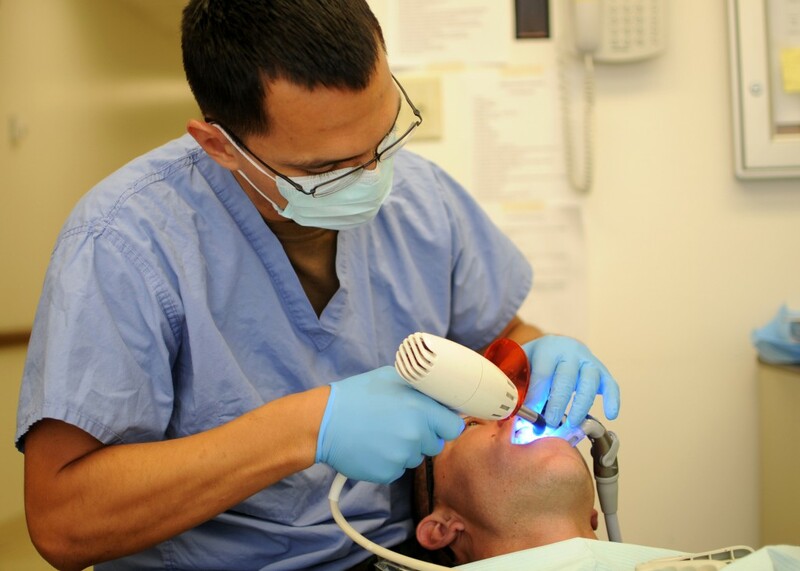 Third, a curing light is used to help the dental sealant harden. You can’t get much simpler than that! Once a dental sealant has been applied, it dramatically reduces the risk of tooth decay. The tooth’s grooves have been sealed and filled, creating a smoother surface where food particles and bacteria can’t run and hide. The end result is a reduced incidence of cavities and a healthier tooth. When used in conjunction with fluoride, sealants provide maximum protection against tooth decay. Most dental sealants last between three and five years, but they can last even longer when well cared for. Sealants are also inspected at regular dental check-ups to ensure that they’re providing the proper protection and longevity. They are, by far, the best and longest lasting barrier of protection to consider during a child’s cavity prone years of adolescence. As a partner in pediatric oral health, Dr. Erwin T. Su Pediatric Dentistry of North Canton, Ohio is excited to discuss these options with our patients. For more information you can call our office at (330) 617-8871 or use our online tools to schedule an appointment or consultation. We look forward to serving you!